Pergana was founded in 2007 as a project by Adrian Benegas. Having put together a collection of completed musical ideas, melodies and lyrics, Adrian felt it was time to enter a studio. In mid 2008, Adrian talked to the Holzwarth brothers about recording a demo together. They liked the songs and the idea, and they started working together. At the beginning of 2009 the project became a band when Mauro Mercado and Audrey Laure came along with the very same ideas, goals, musical influences and dreams as Adrian. 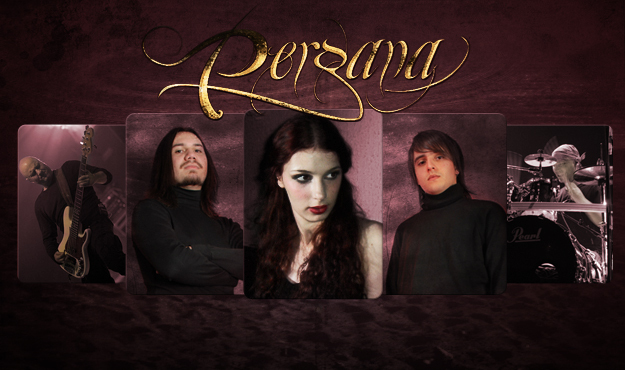 In 2010, Pergana released their first promotional single “Frozen Heart”, introducing the band to the metal scene. In 2011 the EP “The Mirror of Silence” was recorded and released, and the journey of Pergana begins in earnest.